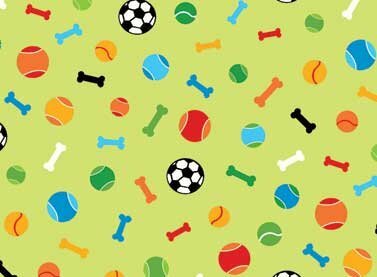 The Dog's World collection features adorable pups and pooches who are ready to play and have fun. 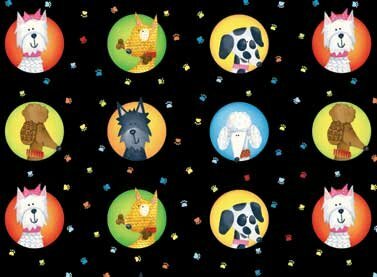 The panel features poodles and terriers, Scotties and Dalmatians, and a carefree mutt. 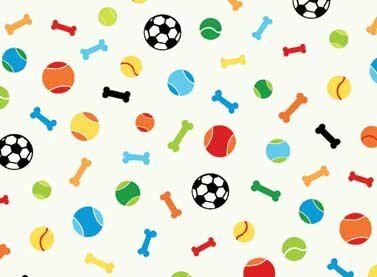 Companion prints include a "woof" text with paw prints, a toss of doggie treats and balls to catch and chase, paw prints, and a colorful gallery of dog images. The palette of bright colors and crisp black and white add to the fun. 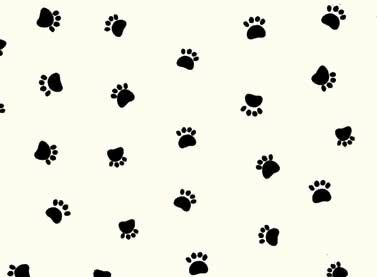 The panel print is perfect for sewing kids' bed and play quilts and big pillows for their playroom floor. Fifi or Spot would absolutely love a special dog bed cover or a comfy pillow to snooze on! Sew kids' aprons for baking and painting, little totes, soft toys, and play clothes and accessories.